The release of openSUSE Leap 15 two weeks ago is following up with its Build to Scale theme by offering images for Raspberry Pis, Beagle Boards, Arndale board, CuBox-i computers, OLinuXino and more. openSUSE has plenty of supported arm boards to allow makers to simply create. openSUSE is providing makers the tools to start, run and grow a project on micro devices to large hardware. The new, fresh and hardened code base that supports modern hardware is stable and offers a full scope of deployments. Makers can leverage openSUSE Leap 15 images for aarch64 and Armv7 on Internet of Things (IoT) and embedded devices. Since openSUSE Leap 15 shares a common core SUSE Linux Enterprise (SLE) 15 sources, makers who find success with a project or device can more comfortably transition to an enterprise product in the future should certifications become a requirement. Currently, the only IoT platform supported by SLE is the Raspberry Pi 3. However, there is no current supported migration from Leap 15 to SLE 15 with the Raspberry Pi. The barrier to entry in the IoT/embedded markets are lowered when a developer starts a project with Leap 15. Plus, the many supported arm boards can help developers circumnavigate future obstacles that might hinder project’s growth in a developing market. The openSUSE Project once again donated 10 Raspberry Pis to GNU Health Project, which were handed over to the project’s founder Luis Falcon at the openSUSE Conference today. Last year, the openSUSE Project donated 10 Raspberry Pis to the non-profit, non-government organizations (NGO) that delivers free open-source software for health practitioners, health institutions and governments worldwide. The affordable ARM hardware that was donated last year were distributed to Italy, India, Cameroon, Germany, Spain and Argentina to improve healthcare management and patient care. Some were also used to improve development on the platform. GNU Health’s free software provides functionality to facilitate a Hospital Information System (HIS), Health Information System and Electronic Medical Record (EMR) management. Both Falcon and Axel Braun gave talks at the openSUSE Conference about GNU Health and how it is changing digital ecosystem and benefiting communities on a global scale. More talks about GNU Health and its Raspberry Pis are expected to be discussed at the GNU Health Conference in November, which openSUSE is sponsoring this year. Users of openSUSE can install GNU Health as part of the official release of openSUSE Leap 15 at software.opensuse.org. The past week brought new features to openSUSE Tumbleweed with a snapshot that included Linux Kernel 4.14. New features like HDMI Consumer Electronics Control support for Raspberry Pi and the merging of Heterogeneous Memory Management to the mainline this Long-Term Support Kernel are promising. openSUSE’s rolling distribution produced four openSUSE Tumbleweed snapshots this week and brought many other goodies. Topping off the latest snapshot, 20171121, was a service release of mono-core 5.4.1. Mono, which is the open source implementation of Microsoft’s .NET Framework based on the ECMA standards for C# and the Common Language Runtime, provided a handful of bugfixes. Code-cleaning in setup.py was made available with the update to python-ldap 2.5.2. The administration and debugging tool for the XFS file system had an enormous amount of updates with the xfsprogs 4.13.1 version, which has new extent lookup helpers. The 20171120 snapshot, which provided Linux Kernel 4.14, had updated versions for the IP lookup program GeoIP and the expat library. GeoIP 1.6.11 provided a fix for the use of a NULL pointer when opening a corrupt database with GeoIP_open and expat 2.2.5 provided several fixes including a security fix. Text editor GNU nano introduced the ability to record and replay keystrokes with version 2.9.0 and python-setuptools 36.7.2 fixed duplicate test discovery on Python 3. The openSUSE Project released openSUSE Leap 42.3 today bringing the community version more closely aligned with its shared core of SUSE Linux Enterprise (SLE) 12 Service Pack 3. The mutual packages of both Leap and SLE distributions give seasoned Linux users, systems administrators, and developers even more reason to use the newest chameleon distribution. Users are advised to take advantage of the seamless upgrade to Leap 42.3. Leap 42.2 reaches its end of maintenance in six months. “By avoiding major version updates in the base system as well as the desktops, the upgrade to Leap 42.3 is a rather unadventurous matter,” said Ludwig Nussel, openSUSE Leap release manager. The release of Leap 42.3 provides adopters a reliable server operating system for deploying IT services in physical, virtual or cloud environments. Leap’s third edition of the 42 series has more than 10,000 packages and offers stability-minded users a refresh and hardware enablement release. The release is powered by the same Linux 4.4 Long-Term-Support (LTS) kernel found in the previous Leap edition. Leap 42.3 continues to use KDE’s Long-Term-Support release 5.8 as the default desktop selection while also offering GNOME 3.20, the same as used by SUSE Linux Enterprise. A variety of additional desktops is available in the installer through the newly designed desktop selection. This release of openSUSE Leap is well suited for servers thanks to its server installation profile and its fully-featured text mode installer, including all the options of YaST without a graphical environment. System administrators are going to love the backup solution Borg, which now can be used easier than ever thanks to Borgmatic’s wrapper to automatically backup your data daily with a systemd service. Sysadmins will also like Samba’s System Security Services Daemon integration with an Active Directory. Leap, and the openSUSE project, provides the DevOps tool chain developers need to be successful. Microservices with Leap offer scalability and continuous delivery through the availability of Docker and Kubernetes as well as easy configuration with Salt, Ansible, and other openSUSE technologies. AutoYaST’s new integration with SaltStack and other configuration management systems can take care of the system installation (partitioning, network setup, etc.) and then delegate the system configuration to one of those widely used external tools. Developers, and businesses can take advantage of extensive core libraries found in Leap 42.3 to build or enhance software for enterprise use. Since Leap and SLE share a common core, development with packages on Leap for use in production on SLE has never been easier. Furthermore, system integrators can develop on Leap with the possibility of getting their work into future SLE releases. 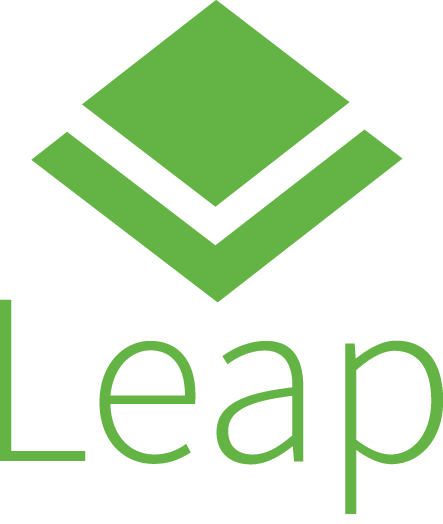 Leap provides the tools, languages and libraries for sustainable software development and engineering. Enterprise ready versions of Python, Ruby, Perl, Go, Rust, Haskell and PHP are all available in Leap. Updates to the kernel and graphics stack enable more hardware and provide stability and performance improvements. Creating cool projects is what makes openSUSE so much fun and a recent project by an openSUSE member highlights just how creative and fun one can be using openSUSE. Adrian Schröter took a Raspberry Pi 3 using openSUSE to create a 3D-printed foldable tripod and took the idea even further by using the Raspberry Pi 3 used to build the tripod to take interval photographs of a Storch and it’s nest with a Sony A5100 camera. The nest appeared in 2016 and Schröter has been taking pictures of the Storch and it’s nest for a few months. To print the foldable tripod, Schröter made the design using FreeCAD, which is a general purpose 3D Computer-Aided Design program that he packages for openSUSE’s distributions. Sony A5100 support for Gphoto from another community member, Marcus Meissner, helped to get the camera functioning to take photos roughly every 30 seconds. Schröter has a blog about that updates pictures about the Storch and it’s nest at http://www.storch-bleckmar.de. The blog is in German, so brush up on your Deutsch or just enjoy the photos. The GNU Health Project is one of many noble open-source projects and the openSUSE Project is pleased to announce it has donated 10 Raspberry Pis to help expand the use and development of the project on affordable ARM hardware. GNU Health, which is a non-profit, non-government organizations (NGO), delivers free open-source software for health practitioners, health institutions and governments worldwide. Raspberry Pis are full-blown computers with a huge potential for GNU Health and the industry, said Luis Falcón, founder of the GNU Health Project. For example, they can be used in real-time monitoring of vital signs in hospital settings and retrieving information from laboratory instruments for Personal Health Records at research and academic institutions. “The fact that they come with openSUSE and GNUHealth pre-installed on Raspberry Pi, allows for fast deployment in many different contexts,” Falcón said, referring to the Raspberry Pi being put to field use. The latest release from openSUSE has new images available for the Raspberry Pi and joins SUSE Linux Enterprise Server for Raspberry Pi in becoming the initial distributions with 64-bit for the Raspberry Pi 3. The 64-bit image of openSUSE Leap 42.2 for the Raspberry Pi 3 has been out for a couple weeks. The openSUSE Leap 42.2 images for the Raspberry Pi 3 are regularly rebuilt and constantly improve functionality. Mueller said having the stable code base of Leap images, which provides fewer updates than the Tumbleweed Raspberry Pi 3 images, give people more stability and expands user opportunities for those who are wanting to use the Raspberry Pi 3 for home automation, mail services or as a small-, low-power server.